Marshall is the county seat of Madison County and is located on the east bank of the French Broad River. As of the 2000 census, the population of Marshall NC was 842 residents. In such a small town, it’s a safe bet that you’ll see a familiar friendly face every day. Marshall offers the beauty and charm that you can only find in a small mountain town in Western North Carolina. Click to view listings of Marshall NC real estate Asheville NC. Most residents are employed in the retail, healthcare, or accommodations industries. Many residents of Marshall are outdoor enthusiasts, and with good reason. The French Broad River offers endless possibilities for outdoor recreation; whether it be fly-fishing or kayaking. 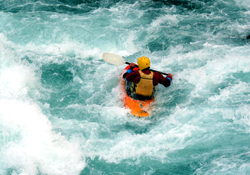 There are numerous companies in and around Marshall that offer guided whitewater rafting, kayaking or canoeing; as well as others that offer fishing trips, hand tied flies, hiking, mountain biking, and more. Marshall is a part of the Madison County school system. Class sizes in our elementary schools are generally smaller than the North Carolina average, meaning that children can receive personalized attention from their teachers; something that is becoming somewhat rare in many education systems.